Last month, an Orlando resident was seriously injured when a vehicle crashed into her home. According to police reports, the motorist had failed to account for a curve in the road, causing her to drive straight into the victim’s residence, where the injured party was pinned and unable to move until freed by emergency responders. If you were injured in a similar type of collision, it is important to contact an experienced car accident attorney who can help you seek compensation for your medical bills and other losses. How Common are Vehicle-Building Collisions? 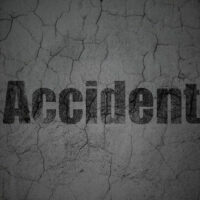 While these types of accidents may be reported as freak accidents, the reality is that these kinds of crashes occur with surprising regularity. In fact, research published by one insurer revealed that approximately 60 crashes in which a driver collides into a building occur every day and that as many as 500 people lose their lives as a result on a yearly basis. Driving under the influence, which is responsible for around 18 percent of vehicle-building collisions. Elderly drivers over the age of 65 years old have also proven to be especially at risk of being involved in this type of crash. In some cases, the driver is not the only party who can be held be held responsible for an accident. If, for instance, an accident occurred on commercial property, the property owner him or herself could be required to pay a portion of the injured party’s damages if he or she had a duty to install barriers near pedestrian areas or parking spaces, discourage nose-in parking, or design parking lots in such a way that vehicles are not permitted to approach a store’s entrance head-on. To speak with a personal injury attorney about your own car accident, please call Boone & Davis in Fort Lauderdale at 954-566-9919 today. Initial constellations are conducted free of charge, so don’t hesitate to call or contact us online.